(1) A slab in which shear reinforcement is provided should have a depth of at least | 200 mm |. (2) In detailing the shear reinforcement, 5.4.2.2 applies except where modified by the following rules. Where shear reinforcement is required, this should not be less | 60 % | of the values in Table 5.5 for beams. (3) In slabs if r 1/3 VRd2, (see 4.3.2), the shear reinforcement may consist entirely of bent-up bars or of shear assemblies. (4) The maximum longitudinal spacing of successive series of links is given by Equations 5.17 to 5.19 neglecting the limits given in mm. The maximum longitudinal spacing of bent-up bars is smax = d.
(6) It may be assumed that one bent-up bar takes up the shear force over a length of 2d. — bent-up bars passing over the loaded area [Figure 5.17 b)] or at a distance not exceeding | d/41 from the periphery of this area [Figure 5.17 c)]. (1) The reinforcement, corresponding to the ties considered in the design model (2.5.3.7), should be fully anchored beyond the node under the bearing plate by using U-hoops or anchorage devices, unless a length lb,net is available between the node and the front of the corbel, lb,net should be measured from the point where the compression stresses change their direction. (where Ac denotes the sectional area of the concrete in the corbel at the column), then closed stirrups, having a total area not less than | 0.4 | As, should be distributed over the effective depth d in order to cater for splitting stresses in the concrete strut. They can be placed either horizontally (Figure 5.18a) or inclined (Figure 5.18b). (1) The reinforcement, corresponding to the ties considered in the design model, should be fully anchored beyond the nodes by bending up the bars, by using U-hoops or by anchorage devices, unless a sufficient length is available between the node and the end of the beam permitting an anchorage length of lb,net. (2) Deep beams should normally be provided with a distributed reinforcement near both sides, the effect of each being equivalent to that of an orthogonal mesh with a reinforcement ratio of at least | 0.15 % | in both directions. (1) Anchorage zones should always be provided with distributed reinforcement near all surfaces in the form of an orthogonal mesh. (2) Where groups of post-tensioned cables are located at a certain distance from each other, suitable links should be arranged at the ends of the members, as a protection against splitting. (3) At any part of the zone, the reinforcement ratio on either side of the block should be at least | 0.15 % | in both directions. (4) All reinforcement should be fully anchored. — the steel area actually required to provide the tie force, acting at its design strength, should be distributed in accordance with the actual tensile stress distribution, i.e. over a length of the block approximately equal to its greatest lateral dimension. — closed stirrups should be used for anchorage purposes. — all the anchorage reinforcement should preferably be formed into a 3-dimensional orthogonal grid. (6) Special attention should be given to anchorage zones having cross sections different in shape from that of the general cross-section of the beam. (1) This clause deals with reinforced concrete walls of which the length measured horizontally is at least equal to four times the thickness, and in which the reinforcement is taken into account in the strength analysis. The amount and proper detailing of reinforcement may be derived from a strut and tie model (see 2.5.3.6). For walls subjected predominantly to out-of-plane bending the rules for slabs apply (see 5.4.3). (1) The area of the vertical reinforcement should be between | 0.0041 Ac and | 0.041 Ac. (2) In general, half of this reinforcement should be located at each face. (3) The distance between two adjacent vertical bars shall not exceed | twice | the wall thickness or | 300 mm | whichever is the lesser. (1) Horizontal reinforcement running parallel to the faces of the wall (and to the free edges) should be provided and arranged at each surface between the vertical reinforcement and the nearest surface. It should not be less than 50 % of the vertical reinforcement. (2) The spacing between two adjacent horizontal bars should not be greater than 300 mm. (3) The diameter should not be less than one quarter of that of the vertical bars. (1) If the area of the load carrying vertical reinforcement exceeds | 0.02 Ac | this reinforcement should be enclosed by stirrups according to 5.4.1.2.2. 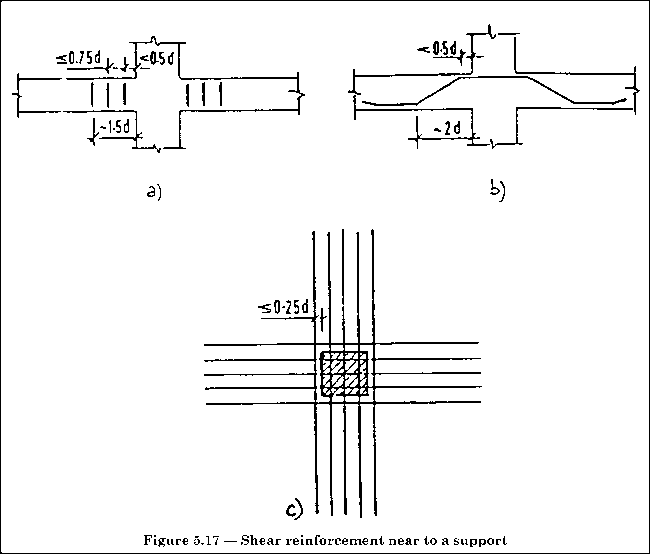 (1) Where one or more concentrated forces act at the end of a member or at the intersection of two structural members, local supplementary reinforcement should be provided capable of resisting the transverse tensile forces caused by these forces. (2) This supplementary reinforcement may consist of links or of layers of reinforcement bent in the shape of hair pins. Acl denotes the maximum area corresponding geometrically to Aco, having the same centre of gravity, which it is possible to inscribe in the total area Ac, situated in the same plane as the loaded area. If Ac and Aco correspond geometrically and have the same centre of gravity: Ac1 = Ac. The value of F^du obtained from Equation 5.22 should be reduced if the load is not uniformly distributed on area Aco or if it is accompanied by large shear forces. This method does not apply to the anchorages of prestressing tendons (see 2.5.3.7.4). P(1) At points where considerable changes in the direction of the internal forces occur, the associated radial forces shall be resisted by means of suitably anchored additional reinforcement or by detailing the normal reinforcement in a special way. 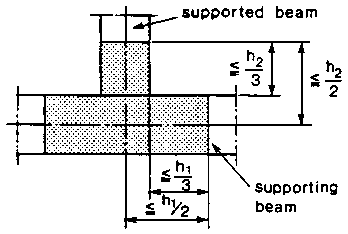 P(1) n the case of a connection between a supporting beam and a supported beam, "suspension" reinforcement shall be provided and designed to resist the total mutual support reaction. (2) The suspension reinforcement should consist preferably of links surrounding the principal reinforcement of the supporting member. Some of these links may be distributed outside the volume of concrete which is common to the two beams, as indicated in Figure 5.20. In cases where it is found necessary to make specific provision to limit potential damage [2.1(2)], ties may be used if appropriate. (2) Where a building is divided by expansion joints into structurally independent sections, each section should have an independent tying system. a) to prevent local damage due to accidental actions such as impact or explosion. b) to provide alternative load paths should local damage occur. (1) Tie sections should be the greater of either, that necessary to withstand loads generated by appropriate accidental actions as specified in Eurocode 1 or, that necessary to provide a specified load path around a damaged zone. (2) In the design of the ties, the reinforcement may be assumed to be acting at its characteristic strength. (3) Reinforcement provided for other purposes may be regarded as forming part of, or the whole of, these ties. (4) For the purposes of tie design, forces other than those generated directly by accidental actions or consequent upon the occurrence of actual local damage may be ignored. (1) Ties should be continuous between the boundaries of the building structure. (2) Continuity is obtained by effective lapping provided the splice length is ls = 2lb and the splice is enclosed by stirrups or spirals with s r 100 mm. In some cases continuity may be obtained by welding or by the use of mechanical connectors. What is stirrups in column? How snug does stirrups have to be around vertical reinforcement? When is bent up bars provided in slabs? How is lbnet measured in frames corners? What are stirrups in concrete buildings? How to design a concrete corbel? 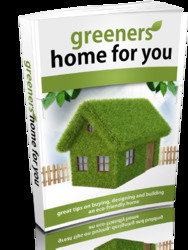 What is corbel in construction?